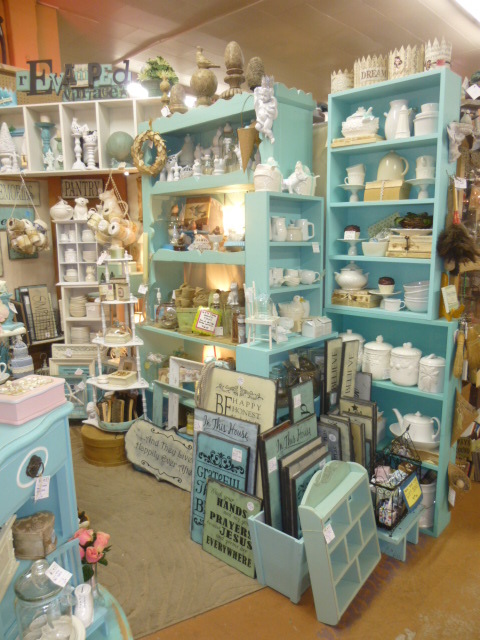 Stars Antique Malls BIG Birthday SALE!! The sale starts TODAY, and runs through Sunday. Each vendor sets their own sale discount %. As always, I’m offering 50% off EVERYTHING in my booth. If you’ve had your eye on something, NOW is the time to go buy it! And, also as always, my booth is JAM-PACKED with goods! Vintage sheet music, vintage lace and glittered crowns; in small decorative size, adult size and a few (the narrower lace ones) are baby size. Altered and upcycled mini mannequins. Lots of little altered journals. The ones with the vintage atlas covers are perfect for a summer travel journal! Great little gifts for teachers too. 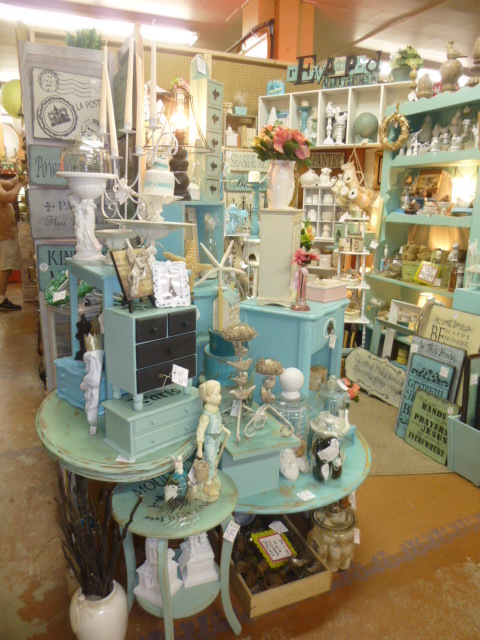 Vintage, altered and upcycled jewelry and trinket boxes. The smallest ones are perfect for tucking a gift card into; and prices stat at $5.00! 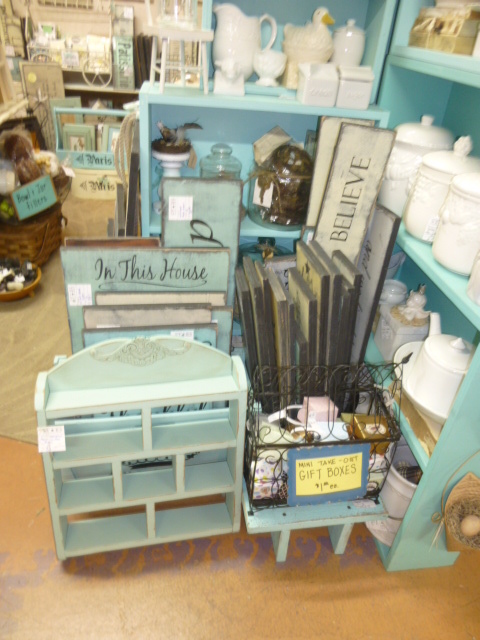 Chalk boards, big and small, upcycled memo boards, cork boards, big blank frames, decorative wall and ceiling medallions. Vintage and repainted wood bowls and trays. LOTS of vintage and upcycled glass cloches! (How cute is that ‘pear shaped’ one!?!?) 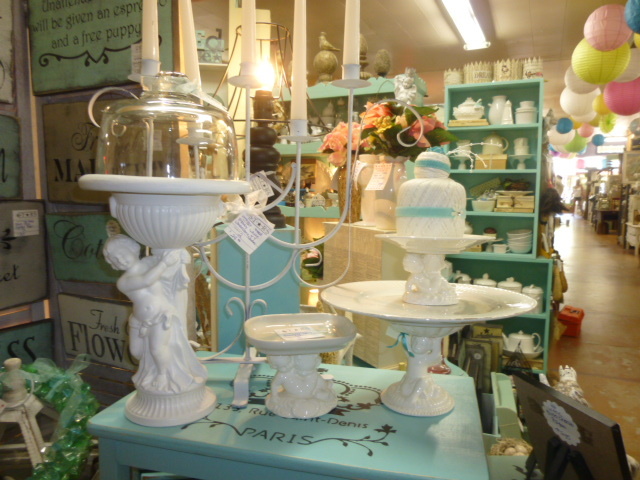 Candle pedestals and cupcake stands (sold separately) make adorable bases for the cloches. Lots of picture frames, with and without backs and glass. Gold, white and aqua. LOTS of vintage white Ironstone dishes! Every pieces and unique collectibles. 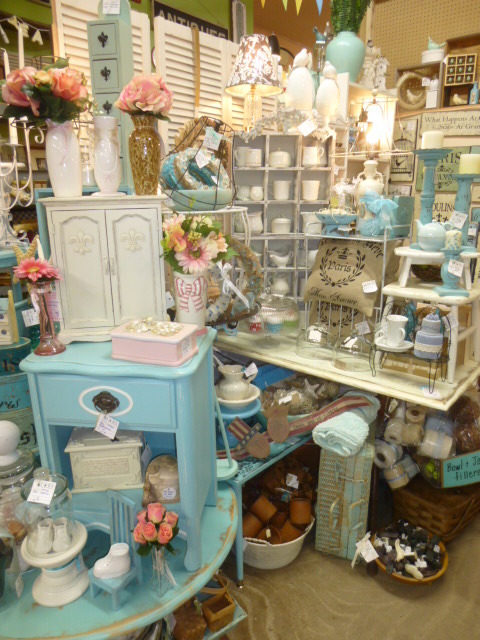 And LOTS of furniture; always at very reasonable prices . . . . CRAZY good prices during the sale at 50% off! COME & GET YOUR SHOPPING THERAPY!